It’s certainly scary to find yourself dealing with a home mold problem. While there is reason to be concerned about your health when there’s mold present, it can also be expensive to eliminate. The Environmental Protection Agency (EPA) notes that individuals can attempt to clean mold themselves if the area is less than 10 square feet. For larger mold areas, homeowners will need to contact a professional cleaning and remediation service. Mold cleaning and repairs can cost $500 to $4,000 for a crawlspace, although adding ducts, walls or an attic can drive the cost to $6,000 or more. Most homeowners will need some form of financial help for this process. Contact the insurance company. It’s not typical that homeowner’s policies cover mold without a rider, but it’s possible that companies will take claims into consideration or cooperate with the homeowner regarding mold-related concerns. Meet with a bank loan manager. Homeowners with some equity in their homes may be able to take small loans out to help fund the cleanup process. Contacting the bank that keeps the mortgage may be an option to look into as well. Ask family or friends for help. 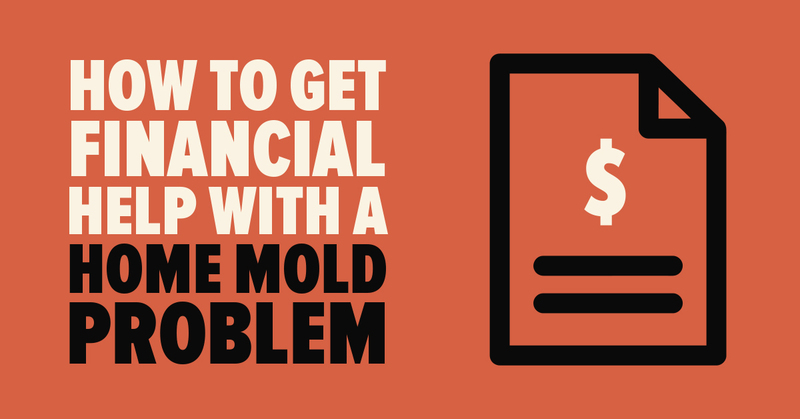 A loan from a family member or close friend for the mold removal might allow homeowners to avoid paying interest on loans and have a more flexible payback period.